Amazon e-book author royalties: Why paying by pages read makes sense. The payment scheme for most Amazon books and authors is not changing. But the economic oddities of its Kindle Unlimited program made download-based royalties absurd. Amazon has come up with a new way to pay authors for the e-books they self-publish, and almost everyone agrees it’s a dumb idea. As the Atlantic explained on Saturday, Amazon’s plan is to start divvying up author royalties for certain types of Kindle e-books based on the number of pages people read, rather than the number of titles they download. So instead of making a small amount of money every time someone downloads one of their e-books, authors will make a small amount of money every time someone turns the virtual page. 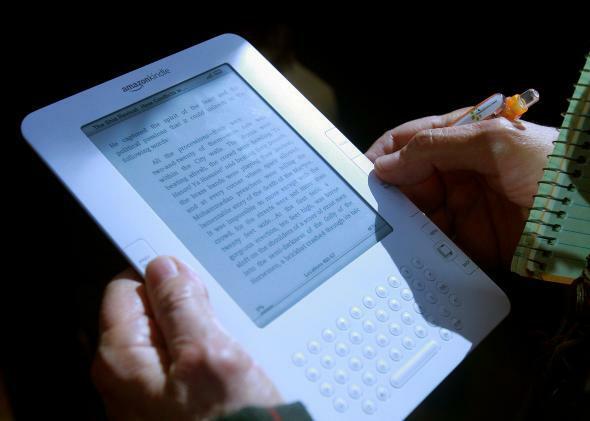 If Amazon wants to pay authors by pages read, readers should only be charged for pages read. Bad idea all around. The irony, however, is that a lot of the people complaining about Amazon’s new scheme seem not to have taken the time to read the full story. First of all, it applies to a specific subset of authors: those who self-publish their books exclusively through Amazon’s “KDP Select” program. This program makes the authors’ books available not only in the Kindle Store, but also through Amazon’s subscription-based Kindle Unlimited program and the Kindle Owners’ Lending Library, which is open to Amazon Prime members. Subscribers to those programs can download the books without additional charge. Since these downloads don’t come with a price, Amazon can’t simply give authors a cut of the revenue their own e-books generate. Instead, it pools the revenue from all such downloads and splits the royalties among KDP Select authors according to a formula. In the past that formula was based on the number of downloads an author’s e-books received. Starting July 1, it will be based on the total number of pages read. The change has no effect on how authors will be paid for books sold in the Kindle Store, or on Amazon.com, or anywhere else. Nor does it affect how authors will be paid for books published through more traditional channels. Why would Amazon make a change to the royalty formula for this specific group of authors? Because the old one was broken, as I’ll explain. When you charge readers to download an e-book, as Amazon does in the Kindle Store, it makes sense to pay publishers and their authors for each purchase. They’ve earned it. To determine a book’s page count in a way that works across genres and devices, we’ve developed the Kindle Edition Normalized Page Count (KENPC). We calculate KENPC based on standard settings (e.g. font, line height, line spacing, etc. ), and we’ll use KENPC to measure the number of pages customers read in your book, starting with the Start Reading Location (SRL) to the end of your book. … This standardized approach allows us to identify pages in a way that works across genres and devices. So much for the old “double-spaced, size-14 font” strategy. On a more basic level, tying author payments to pages read makes sense for Kindle Unlimited titles from an economic perspective. Because while downloads are free and instantaneous once you’ve paid for your subscription, reading a page implies an additional investment on the reader’s part—not of money, but of time and attention. That makes pages read a better proxy than downloads for the amount of value readers are deriving from a given author’s work. It isn’t a perfect proxy, of course, but then, no single metric ever will be. The closest we have to a perfect metric for the amount of value readers derive from the book is the one already in use in the Kindle Store: the amount they’re willing to pay to download it. I don’t see that changing anytime soon.